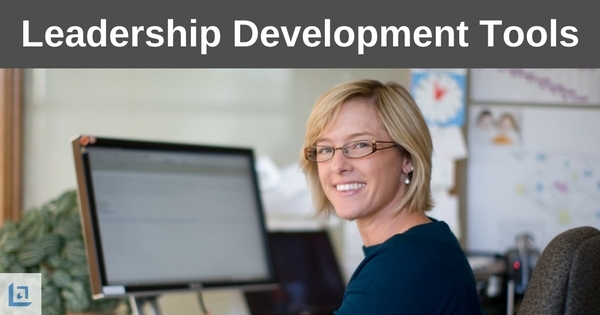 WELCOME TO OUR LEADERSHIP DEVELOPMENT TOOLS PAGE. Quality leadership tools and resources are highly valued among top leaders in virtually all businesses and occupations. Aspiring leaders are well advised to take full advantage of the many great tools and resources available today. Strong leaders consistently self-assess. They seek leadership tools to further progress and develop their leadership skills. Leaders who have already realized a certain level of success, and therefore think they have no use for new and innovative leadership development tools - need to think again. "Navigating through your site has been like going on a leisure run along a sun and sand-filled summer beach... excellent... refreshing... educational... fun. Thanks!" No one gets a free ride - not for very long anyway. By developing yourself through the use of quality leadership training resources you'll be securing your future as a highly credible leader. Leadership development is a process, a never-ending journey. 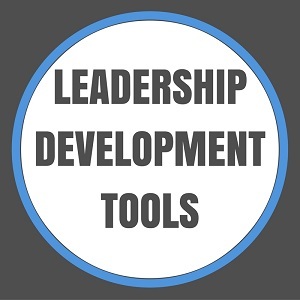 Various tools can assist a leader to continue to move forward in the leadership development process. Recently a client stated, "I feel as if I am a good leader - but that isn't good enough. I owe it to my team and I owe it to myself to become a great leader. I need outstanding leadership tools and resources." Now let's stop and think about what our client said for a minute. He used the word 'great'. What a terrific vision, to be - GREAT. Surely no one would disagree with a leader's vision for his/her team to be great - or would they? 'Greatness' in anything does not come easily or without a significant amount of effort. Greatness does not magically appear. To be great at anything takes a lot of personal commitment and sacrifice. Greatness takes leadership - it takes vision, clarity, focus, courage, passion, preparation and most importantly - execution. Greatness takes all these things and more. Leaders often assume that each team member's will to achieve great things, equals their own. But leaders should not make this assumption because many (if not most) people do not aspire to be great. Sure, they may work to meet their sales goals and earn their incentive pay (and this is good), but a leader cannot make the mistake of assuming their people automatically strive for greatness. Bottom line - a great leader is going to invest the time necessary, using effective leadership development tools, for determining who the right people are for key positions. Make no mistake about it... the success of the team is paramount to a good leader because the team's success will determine the leader's success. Speaking of success (and a quest for greatness) check out some of our free leadership development tools that can assist you in becoming a more successful leader. Strong leaders are continually self-assessing. Receive a free 360 degree feedback leadership assessment tool. Identify training needs for each level of leadership. Evaluate your Manager's effectiveness using this tool. Calculate and present the full value of compensation. Packed full of timeless wisdom and useful leadership lessons. Manage and coach people to their performance results. Identify and develop the future leaders of the organization. Leadership poems provide insight, empowerment & inspiration. Inspirational sayings and quotes help to support key leadership messages. Learn and grow by reading books on leadership and related topics. Read articles on leadership , sales, service and team building. As a leader you must remember that if you're not working at improving your skill-set on an ongoing basis, there will be someone out there somewhere with equal ability who is making the extra effort. One day you'll be competing against each other, and the person who has prepared the most will have the advantage. Leadership development tools can enhance a leader's ability to achieve and maintain a competitive edge. In conclusion, we encourage you to use the tools provided here to support and further develop your leadership skills. As a leader it's so important that you do whatever you can to hire and inspire greatness within your team. We have sought to provide you with high quality, Ready-to-Use, leadership tools. Check back with us often, subscribe to our newsletter, follow our blog and social media outlets to ensure you receive new leadership tools and tips. In the meantime, we want to know what additional leadership development tools you would like to see available on our site. Tell us what your top leadership issues are. What's keeping your team from achieving greatness? What leadership training tools do you think you need in order to overcome these issues? All the best in your leadership journey.